It has been a difficult week. On 28th December 2010, one of my younger son’s friends passed away unexpectedly aged 24. As you can imagine my son and his friends were devastated. We all were. They are a very close knit group and have been at school and university together for the best part of 11 years. They still all keep in touch and they regularly go out together, lots of them have ended up working and living in London. Their first thought on hearing the news about Zoe was to be together and in groups, they spent New Years Eve comforting and supporting each other. The time since then, they have all been supporting the family and helping to plan her funeral which was today. What an occasion. It was a glorious celebration of a young life with so much to offer which was cut so tragically short. If you can judge a person’s worth by their friends then Zoe was rich beyond anyone’s wildest dreams. There must have been 700-800 people in the church today, it was in turns, heartbreakingly sad yet joyful, tragic yet a wonderful collective celebration of a vivacious, talented, beautiful, much loved young woman who gave so much to everyone she knew and who was so loved in return. Her father has set up the Zoe Anderson Memorial Fund in her memory, the money raised will help protect an area of coral reef in her name – you can read more about this wonderful young woman over there. 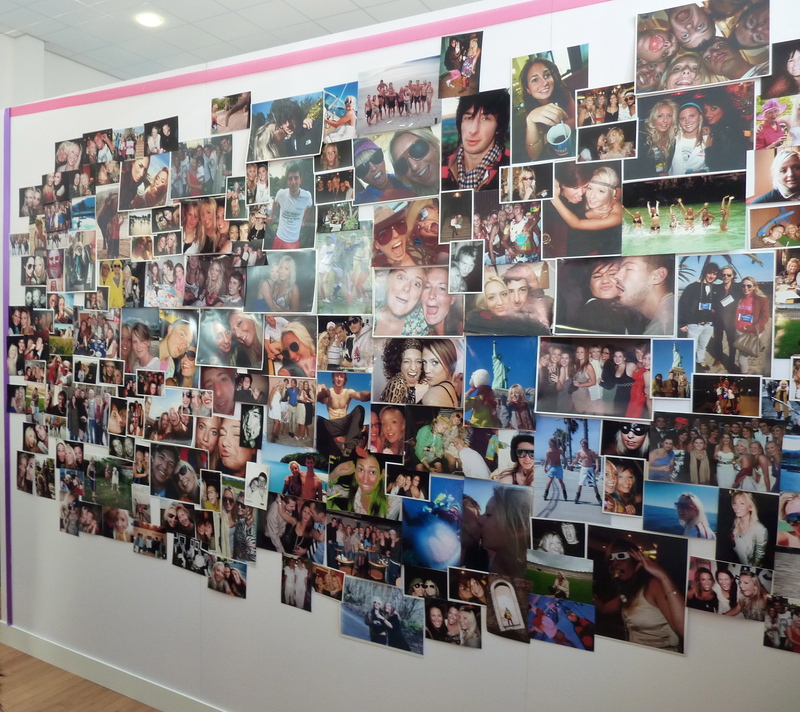 There was an exhibition of Zoe’s paintings and photography in the church hall and today’s image is of the wall of photographs of Zoe and her friends. Sorry to hear about your son’s friend, how sad. I hope that she knew how well loved she was, judging from the collage. I hope she knew too. Someone said she was the glue that held them all together. I think she would have loved the gathering yesterday. And happening when it did between Christmas and New Year, it seemed even harder to bear.